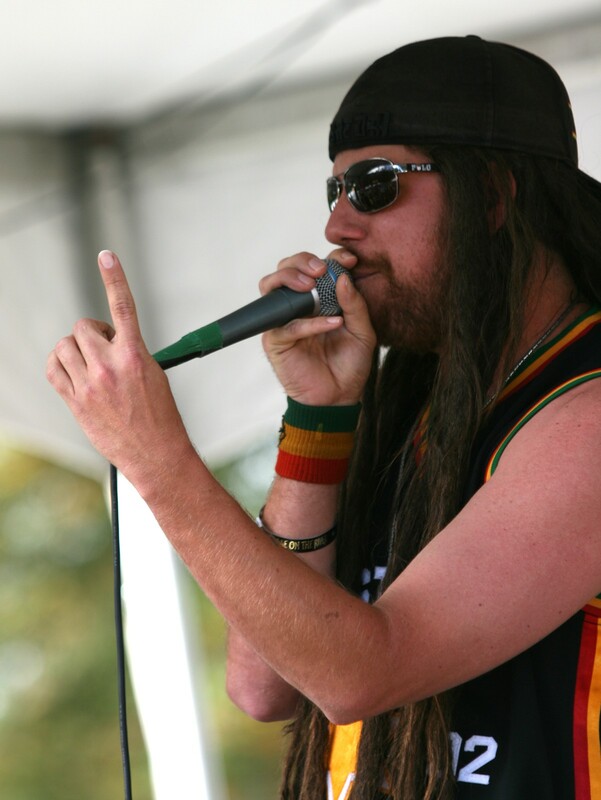 Big weekend for reggae with three major concerts scheduled, each quite different. We'll start with Saturday when the local reggae massive assembles at the Bayside Grange for an afternoon-into-evening benefit to help the family of Joe Magana, owner of the Que Grande taco truck who was recently diagnosed with muscular dystrophy. Not to get political, but this is another argument in favor of universal healthcare. As show organizers explain, "Treatment costs, which include out-of-state travel and accommodations, are quickly becoming impossible for the family to cope with." Among those performing to help their friend: Jah Sun and Ishi Dube, Senegalese singer Elhadji Niang with Borom Faal, Northtown Dub with Judrum, Dub Cowboy, and poet Amde Hamilton from The Watts Prophets. Hungry? They'll have Que Grande tacos. Bring extra cash for the silent auction. This all-day, all-ages gathering demonstrates what a community can achieve when it comes together: one love. More reggae Sunday night at the Arcata Theatre Lounge as People Productions presents Collie Buddz. Born in New Orleans and raised in Bermuda, Mr. Buddz adopted a slang term for ganja as his name. His 2006 breakout single "Come Around" led to a major label contract and collaborations with the likes of Lil Wayne and Snoop Dogg and something few Jamaican artists achieve, crossover to the U.S. urban market. After spending the summer playing major festivals including Lollapalooza and Outside Lands, he's on tour with his New Kingston Band and hype man DJ Pee Wee, with special guest Gappy Ranks, a dancehall singer from London. Local DJ Selecta Prime opens. Thursday, Nov. 3, at the ATL you have Jamaican dancehall star Mavado with Kibaki and Flexx from The Gully Squad. When activist Mitch Trachtenberg heard about this show, he sent an email to the owners of ATL and to everyone on the Arcata City Council warning of "potential for violence at the Arcata Theatre Lounge." To make his case, he included links to news stories from Jamaican papers detailing Mavado's arrest in July on assault charges and a related bribery charge (a concert promoter allegedly offered the assault victim $500,000 to drop the charge). Mentioned in passing is the fact that Mavado's trouble comes "less than a month after his United States visa was returned to him." Why was his visa pulled in the first place? He was brought up on were gun charges in 2008 (later dropped). Basically, his whole persona is "gangsta." Born in a tough Kingston ghetto, David "Mavado" Brooks got his start as a protégé of the infamous Bounty Killer. His big breakthrough came with a 2007 album, Gangsta for Life: The Symphony of David Brooks. A couple of Gangsta tracks ended up in the über-violent Grand Theft Auto IV videogame and no less than Jay-Z was ready to bring him to NYC when losing his visa sidetracked his rise in the U.S.
Apart from his legal troubles, here's what's up with Mavado: In September the self-proclaimed "Gully God" signed a deal with DJ Khaled's American label, We The Best Music Group, and he's on a world tour. Meanwhile, his old rival is not doing so well. The same day Mavado brings his gangsta act to Arcata, Vybz Kartel is due in court in Kingston charged with of illegal possession of a firearm, murder and conspiracy. He's also facing additional charges stemming from a second murder. What would Mr. Trachtenberg have us do about the Mavado show here? "I think the press ought to publicize his background, particularly within the past year," he told the Journal, adding, "If this were someplace else, I'd also expect the press to editorialize against his presence." I'll leave it to you to decide if you want to hear this guy. IMHO, it's not my place to try to stop the show. That Saturday benefit at the Grange ends early, 10 p.m. That's when things should be getting going at the Red Fox, where AfroMassive is recording a live album. Founded in Humboldt and now drawing players from all over NorCal, the rhythm-heavy big band merges Fela-esque Afrobeat with funk and hip hop adding electronic elements to create goodtime party music - perfect for dancing with wild abandon. Also on Saturday, a benefit at the Arcata Playhouse with music and stories by Jeff DeMark and The LaPatinas followed by SoHum Girls and NightHawk. SoHum Girls keyboardist/vocalist Marcia Mendels tells us, "When performing as part of NightHawk, people would often ask if we were from ‘out of town.' My response was no, that the guys were all from the north end of the county and that Brigette [Brannan] and I were -- wait for it -- SoHum girls. What kind of music? Not too easy to classify -- think rock, blues, country, funk, Cajun and a touch of jazz all mixed together." Show proceeds go to Consumer Credit Counseling Service's program Paths 2 Prosperity, which Marcia says, "teaches kids and young adults about managing money and credit so they don't get into debt." Good idea. Two years ago, when the folks at Humboldt Brews opened the new made-for-music room they call "Next Door," they booked The Mother Hips, a truly fine rock band formed in Chico 20 years ago by friends Tim Bluhm and Greg Loiacono. The Hips are marking the 20th anniversary with a retrospective box set, Days of Sun and Grass (reviewed elsewhere in this issue), and a tour that brings them back to HumBrews for a two-night run, Friday and Saturday, where you're sure to hear some old favorites. Great room, great music; what more could you ask? Did you get your ticket for the Jackson Browne solo show Sunday at the Van Duzer? It's SRO, but there are a few left. Tough contest for Portland band-o-the-week. First contender: the 12-piece semi-classical/pop mini-orchestra Pink Martini, offering its eclectic global mix on Saturday in the Van Duzer. "Pink Martini is a rollicking around-the-world musical adventure -- if the United Nations had a house band in 1962, hopefully we'd be that band," says founder/pianist Thomas Lauderdale. Keep in mind that the band is named for a sweet drink -- don't expect much dryness. Next up, Wild Flag, an ultra-hip PDX girl group playing Monday at The Depot. Bandleader Carrie Brownstein was guitarist/vocalist of the classic Portland alt. rock band Sleater-Kinney. More recently, she's joined forces with Fred Armisen from SNL in the comedy series Portlandia, skewering all things Portlandish. The alt. folk combo Drew Grow and The Pastor's Wives (also from Portland) joins Wild Flag on tour. The trouble I find with Wild Flag is, post-Portlandia, it's hard to see Carrie as less than ironic. Then again, we live in a post-ironic world, so maybe that's what we need.